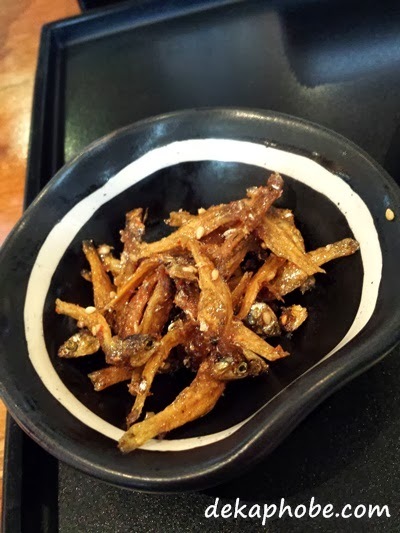 As we are waiting for our orders, we were served spicy anchovies as complimentary appetizer. 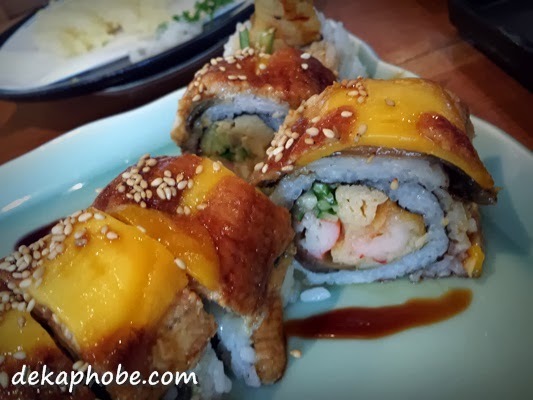 First to arrive is the Ebiten (Php 400) and Marufuku Roll (Php 550). 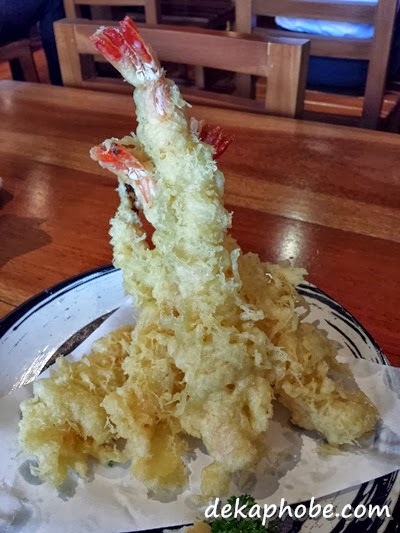 A piece of Ebiten is twice the length of the usual shrimp tempura, with the adequate batter thickness. It is more than enough for its price. 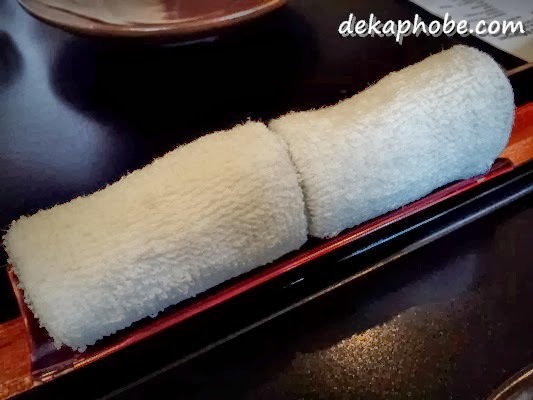 The biggest futomaki I have ever tasted, the Marufuku is has tempura inside, covered by ripe mango and unagi (freshwater eel). I did try swallowing a piece whole, and I wouldn't recommend you to do so. 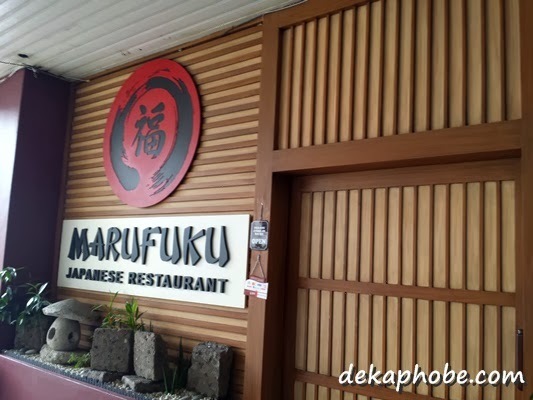 Though I have a huge appetite for sushi, the Marufuku Roll defeated me. However, you shouldn't miss getting this when you visit the place. 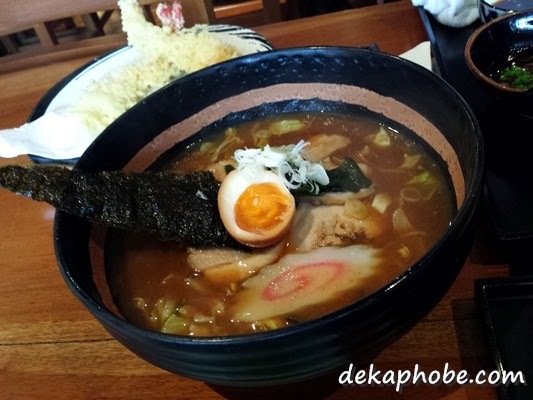 We also shared a bowl of Miso Chasu Ramen (Php 280), which is one humongous bowl. I loved the taste of the broth of the ramen. Quite satisfactory for two persons, in my opinion. 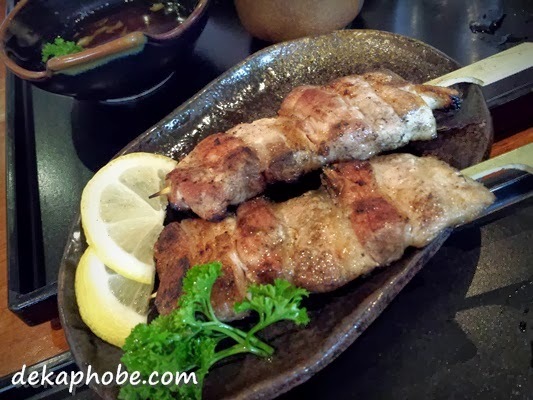 We also tried the Burabata Shio Robata or pork belly grilled skewer (Php 70 each). Our server recommended that we try it. However, we think it stayed a bit longer than it should be at the grill that the meat tasted like charcoal. 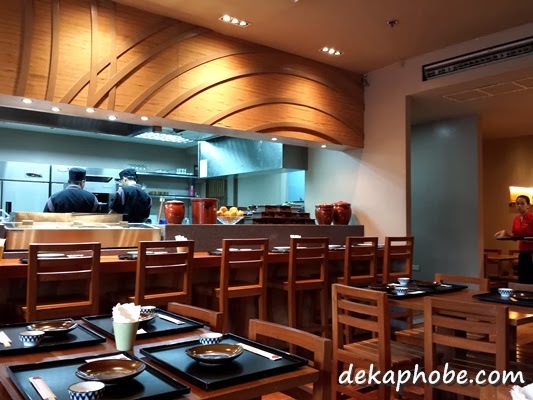 Last to arrive was Okonomi Modan Yaki (Php 390), which takes a while to prepare, as we were warned by our server. 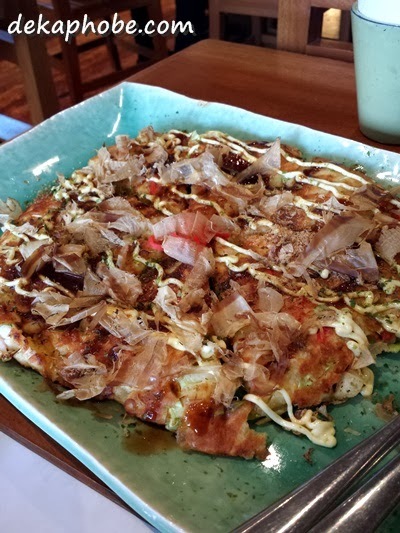 The Okonomi Modan Yaki was generously topped with bonito flakes, but it needed more sauce as the pancake itself is quite bland. Overall, I was impressed with Marufuku. The servings are bigger than what we expected. The service is excellent too. We overestimated our food and ended up taking half of our orders home. 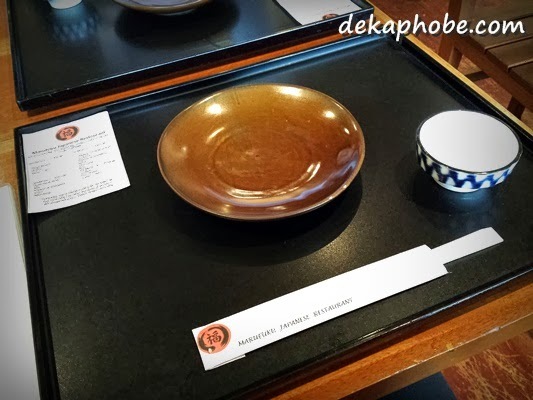 I would love to go back to try the other dishes on their menu. 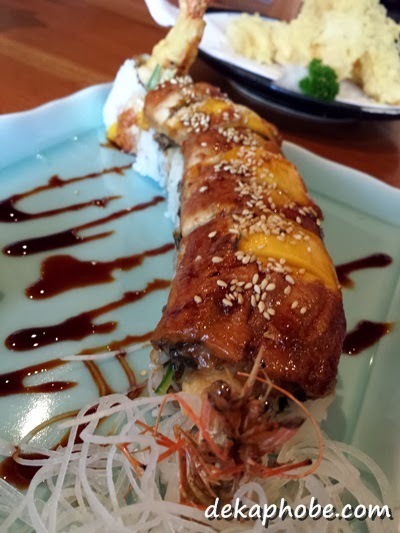 Looks really good... especially the roll! 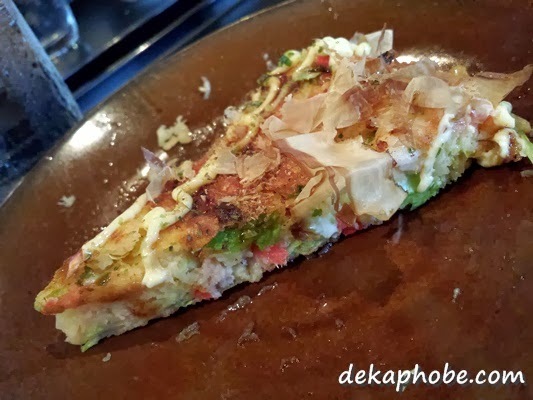 Their version of the okonomiyaki looks huge! I have to visit the plae soon! food looks good! We've been planning to eat here. We always pass by it when in the area eh. We'll give it a go nga sometime.